Goat Yoga will make you HAPPY! Join us for an hour of mellow yoga suitable for all levels! 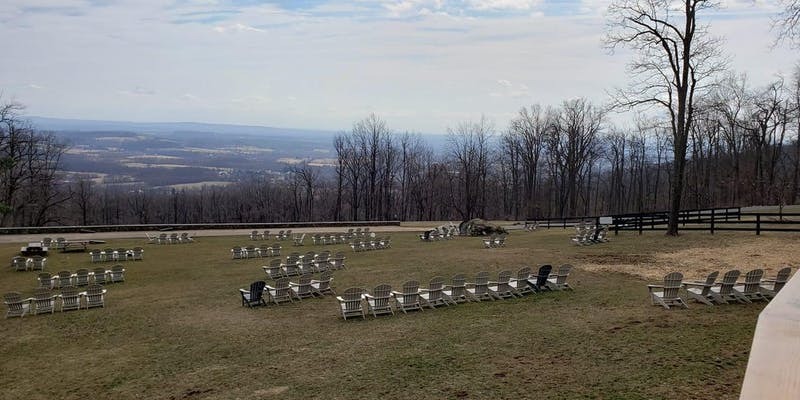 We will practice at Bear Chase Brewing Company, amongst picturesque views of the Blue Ridge Mountains, crisp air, and beautiful natural surroundings. Friendly goats from Walnut Creek Farm will roam among us while we enjoy our casual yoga practice, with plenty of time for goat cuddles and selfies. The goats are curious and interested in climbing and interacting with people. Children should be no younger than 10, comfortable with animals, and accompanied by an adult to attend. PLEASE BYO Yoga mat. ALL individuals entering the field MUST have a ticket, regardless of whether or not participating in the yoga class.